Phil Hufton has been appointed as the new Managing Director and Chairman of Bombardier Transportation UK effective from 1st October. He joins from Network Rail where he was Managing Director, England and Wales. Phil is a well know figure in the industry having previously held senior roles in London Underground. Phil will replace Richard Hunter who was appointed as President of Rail Control Solutions and Wayside for Bombardier Transportation worldwide in March this year. After handover, Mr. Hunter will be dedicated to this global role. 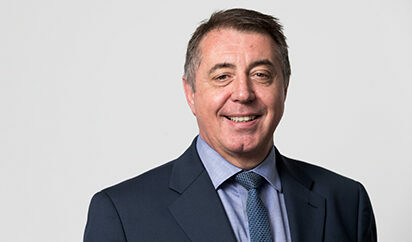 In the UK, Phil will join forces with Andy Derbyshire to focus on current projects and business growth. Andy joined Bombardier in December 2017 as Director of Critical Projects with responsibility for the AVENTRA product platform. We look forward to working with both Phil and Andy going forward.